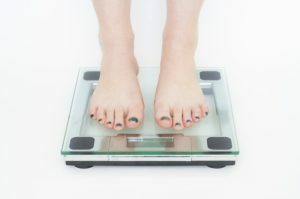 Do you find yourself trying to lose weight, but unable to stave off the last few pounds or so? Here’s something that might just motivate you to start taking your workouts more seriously: a new study concludes that the higher your body-mass index (BMI) is, the greater the cancer risk. The special report entitled Body Fatness and Cancer was published in the New England Journal of Medicine. It is based on over 1,000 studies that were analyzed by the France-based International Agency for Cancer on Research (IARC), an arm of the World Health Organization. IARC went over the many published studies on cancer risk and excess weight, and concluded that there is a significant increased risk to the disease if a person is overweight. IARC researchers tagged eight types of cancer where this connection is more profoundly noticed. These cancers are: gall bladder, liver, meningioma, ovary, pancreas, stomach, thyroid cancer, and multiple myeloma. Multiple myeloma is a type of blood cancer, while meningioma is a type of brain tumor. While these cancers aren’t exactly new, the discovery that they are linked to excess weight certainly is. 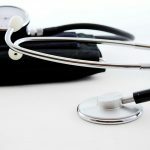 In fact, a patient’s weight is normally not considered as a risk component in most of them. These eight types of cancer joins the list of cancers that are susceptible to weight gain that were previously proven by the group. These cancers are: breast, colon, esophagus, kidney, and uterus cancer. With 13 cancers having significant links to weight gain and obesity, the researches strongly iterated the need to reduce weight, as doing so can help prevent these cancers from occurring. These findings are significant, considering that 640 million adults and 110 million children are considered as obese in the world. In the United States alone, one third of its adult population (or 36.5%) are obese. Aside from increasing cancer risk, obesity also puts people at risk of heart disease, type-2 diabetes, and a host of other conditions and diseases. It is also among the leading causes of preventable death in the world. 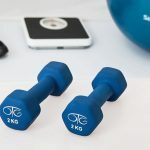 The researchers concede that while several lifestyle factors, such as smoking and neglecting to exercise, increase the likelihood of developing cancer, maintaining a healthy weight is generally neglected when it comes to trying to reduce cancer risk. Therefore, to safeguard against the disease, it is therefore imperative that eating a healthy diet, exercising, and watching your weight can have a significant difference to reducing this risk. After all, other risk factors of cancer are things that you have no control over – such as certain predispositions to some of its types. Maintaining a healthy weight, eating healthy meals, regularly exercising, and keeping your body in tiptop shape are some of the things you do have control over, and are aspects of your health that you should not take for granted. That being said, if ever you feel unmotivated to start working out, think of the host of diseases that you can avoid just by being physically healthy. You’ll not only have a better body – you’ll also be healthier. How’s that for a new, better you?